COBRA is a fully supported batch record analysis system that enables users of batch production plants to record and analyse process data collected from a variety of sources. The system presents complex plant data using a wide range of standard and customised reports. These allow manufacturers to meet regulatory obligations, optimise recipes and processes, identify bottlenecks and analyse material usage and yields. The benefits of COBRA are applicable to all batch manufacturers including pharmaceuticals, fine chemicals, paints, resins, polymers, agrochemicals, food and drink. Users of COBRA report substantial savings on batch cycle times and real improvements in product quality. This high level of performance coupled with low cost of ownership means that return on investment can be achieved within days of installation. 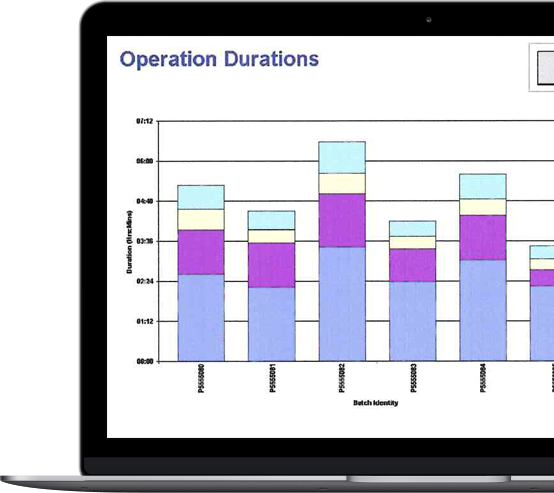 Centralised provision of plant and batch data in an accurate, easily understood manner, via over 100 standard and unlimited custom reports. Easy analysis of plant, vessel and batch performance for process improvement and improved control of raw materials. Multi-batch reporting for continuous batch comparisons to identify anomalies and performance trends. Simple, password-controlled user interface for rapid access to relevant information for all classes of user. Stand-alone or networked PC system with secure connection to plant control system. Open system for easy access to information, for example, with higher level MIS and MRP systems such as SAP. Presentation of up-to-the-minute information, updated as you work. The COBRA package runs under a range of Windows operating systems. It is simple to use by everyone from plant operator to senior management. It contains security features to protect data and prevent unauthorised actions. The prime function of COBRA is to generate reports based on the data held in the master database of plant information. The COBRA application is based on Microsoft Access and uses pre-defined queries and formats to provide a comprehensive range of over 100 standard reports. COBRA has an open structure which allows it to simultaneously import data from multiple sources, often using different methods, and store that data in a relational database. The system generally uses Microsoft’s SQL Server as its standard database but it can be easily exported to other databases such as Oracle thanks to its use of ODBC technology.